It has been my experience that many Americans are still going through rough times when it comes to money and jobs. American Corporations continue to cut jobs to save money on the bottom line and improve operations. Is there something wrong with it? No! However, it does have repercussions on the local economy. Furthermore, many large to mid-size companies are not giving annual raises due to cut backs. Many people believe that property management is easy. Really? I receive a call the other day from a husband and wife that are having problems of their tenant paying the monthly agreed upon. I spent 45 minutes on the phone. I was able to earn their business. I now manage a property with a tenant being late on the rent. What to do? I politely ask the owners to send me over a copy of the WRITTEN and SIGNED lease when it comes to Arizona Property Management. I need to know the terms of the contract between the landlord and tenant so I can enforce them. Well, she sent me over several Emails explaining the terms of the agreement. However, I still did not receive a signed lease between both parties. I phoned the owner to personally ask for the signed lease. She informed me that the lease was never signed by neither party. This means we do not have a lease. We have tenants leasing a property without an executable lease. WOW! We have people practicing real estate without a license. The tenant owes the owner about $3,000 in rent, late fees, and other expenses. Properties R Us LLC only charges $60 per month per door when it comes to Arizona Property Management. This is the best deal in Phoenix, Arizona, when it comes to property management. Meanwhile, I am in discussion with current tenant who is currently overseas until next month. We need to have both sides to sign a lease to we have an agreement between both parties. Are you covering your assets? Oh! The owners do not have this asset in a legal entity just their personal names. 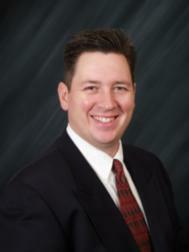 Surely, they are need of my expertise when it comes to Arizona real estate investing.